The latest installment of the James Bond franchise, Spectre, may still be in the midst of production, but with the movie coming out later this year, promotion and marketing is kicking into high gear a little bit early. Hence, today we have our first look at the legendary 007 back in action. The film has also posted a very special video blog that takes fans behind the scenes of the production as it does some on-location work in Austria. Watch it below! 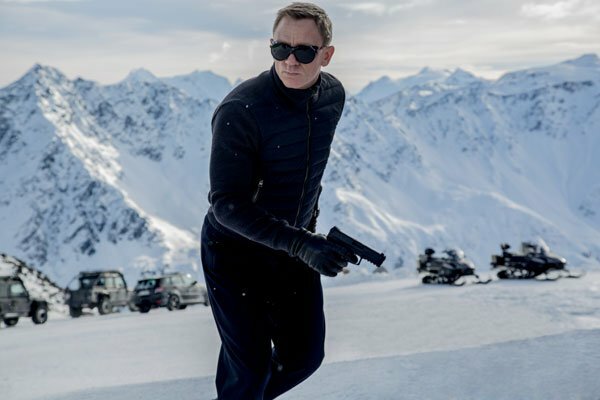 It’s made pretty damn clear by the video and the image that one of the most spectacular sequences we can expect to see in Spectre will take place on the snowy peaks of an Austrian mountain range. As we’ve previously noted, this is a pretty great thing, as ice covered action sequences have been a mainstay throughout the 007 franchise, but it’s an environment that Daniel Craig hasn’t encountered during his tenure as the super spy. This is just yet another reason to be super excited for the new blockbuster. Based on a script by Skyfall screenwriter John Logan (which was in turn given a re-write by fellow Skyfall writers Neal Purvis and Robert Wade), Spectre is the fourth chapter in the "Daniel Craig is James Bond" series within the larger franchise, and - as you may have guessed - has the British super spy going on yet another globe-trotting adventure. The story begins as Bond begins to investigate a cryptic message from his past, leading him directly on the path of the film's titular terrorist organization. Ralph Fiennes, Ben Whishaw, Naomi Harris and Rory Kinnear are teturning as M, Q, Eve Moneypenny and Tanner, respectively and they are joined by newcomers including Christoph Waltz (Oberhauser), Monica Bellucci (Lucia Sciarra), Lea Seydoux (Madeleine Swann), Andrew Scott (Denbigh) and Dave Bautista (Mr. Hinx). The Sam Mendes-directed movie is still shooting, but you'll be able to find it in theaters on November 6th.